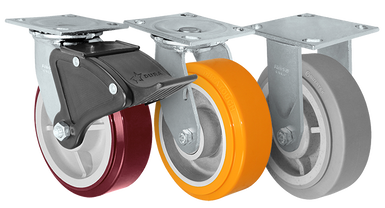 Durastar polyurethane wheels are engineered for loads up to 6000 lbs. 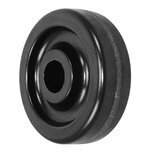 ​The wheel tread can not only resist oil, grease, water and solvents but also provide non-marking, smooth rolling and quiet operation. 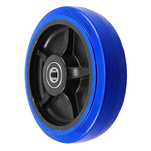 The DURATOUGH and SIRIUS wheels are made by unique polyurethane formula which can avoid disintegration problem that usual plastic wheels would face. 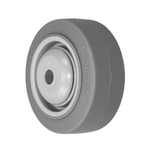 Durastar polyolefin wheels are engineered for loads up to 1200 lbs. 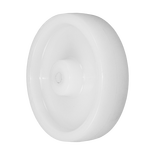 These wheels can resist high shock, impact, chemicals and abrasion. 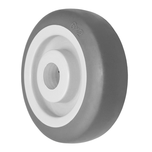 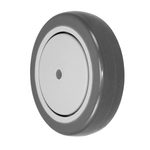 Polyolefin wheels are the economic choice for dollies, carts and platform trucks. 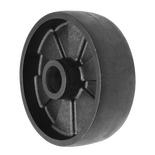 Durastar phenolic wheels are engineered for loads up to 3500 lbs. 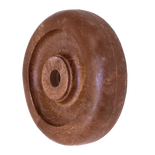 The wheels are made in USA and resist to high shock, impact, oils and grease. 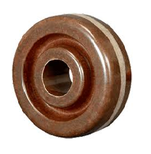 Phenolic wheels have high load capacity and are the economic choice for broad range of applications.